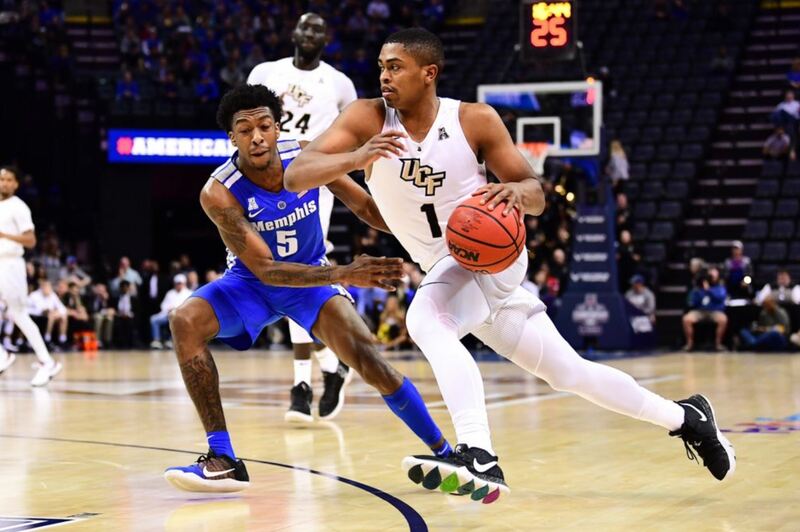 The Memphis tigers took care of the UCF Knights 79-55 in the American Conference Quarterfinals to advance to the Semifinals. The Tigers were led by Isaiah Maurice. He had career high 21 points. Maurice came into the game averaging just over 5 points a game on the season. The Knights were led by Tacko Fall. He had 12 points and 10 rebounds on 5 for 6 shooting. The Knights were not able to get it going on offense throughout the whole game. They had just seven assists and they turned the ball over 16 times. The Knights had an early 11-4 lead before the Tigers got settled in and took over the game. Knights guard Aubrey Dawkins did not have a good shooting game after having a career high 36 points the game before against Temple. Dawkins had just 7 points on 1 for 10 shooting. Guard BJ Taylor was also really quiet. He had 9 points on just 3 for 8 shooting. Memphis played really good defense against the the Knights holding them to under 36% shooting for the game. Memphis also out-rebounded UCF 44 to 30. The Tigers were really disciplined in the 1st half. They only turned the ball over three times and committed only five fouls. The Knights fall to 23-8 on the season. They lost their last two games after getting big wins against Houston and Cincinnati. Even with the loss to Memphis, the Knights are still expected to make the NCAA Tournament for the first time since 2005. They have only made the tournament 4 times in school history, and they have never gotten past the opening round. See this link for more information here. The NCAA Tournament selection show is on Sunday. Memphis will move on to play the Houston Cougars tomorrow in the Semifinals at 3 pm. UCF will wait until Sunday to see whether or not they will make the NCAA Tournament. Photo courtesy of UCF Athletics.